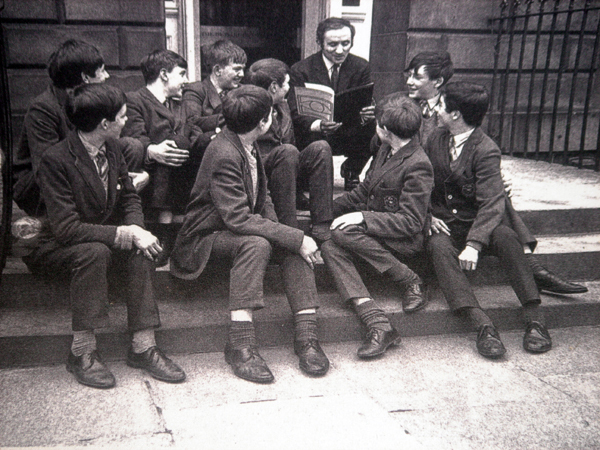 Ricky Demarco with a group of pupils. Photo taken back in 19??. Can anyone remembers who was there and what was going on? Let us know.